Bouma Builders Inc. has been a well-recognized and respected name in the Chatham-Kent construction industry since 1987. Its goal of providing custom homes of upmost quality, design and craftsmanship gives customers an unmatched and truly unique building experience. Bouma Builders provides clients with design, construction, costing, and scheduling of their home to create a product that is both on time, and on budget. Scott and Erin VanderSluis are the husband and wife team managing the company, along with Scott’s father, Mike, who helped found the company and remains a hands-on partner. 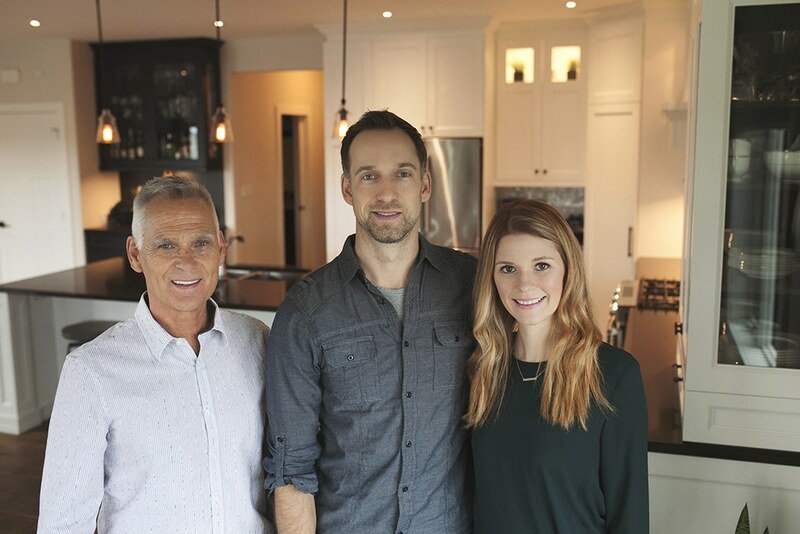 Today, Scott, Erin and Mike continue to uphold the company name and are responsible for the day-to-day operations of the family business and work confidently together with their clients to bring their dream home or renovation into reality. They have built over 250 homes in the past 30 years. Bouma Builders Inc. is a long-time member of both the Canadian Home Builders’ Association and the Chatham-Kent Home Builders’ Association, of which Mike served as President in 1990-1991 and Scott from 2016-2017. Online scheduling program links suppliers, subtrades, and builder to the customer, (via phone, tablet, or desktop) providing efficiencies like online calendars, photos, change orders, and warranty claims.